it came to soccer . beamed live on TV,more sponsorship deals are made by good companies. 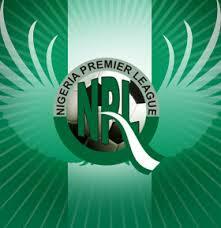 1.There are 20 teams from almost every geographical location in Nigeria. Home field has extraordinary big influence on results no thanks to favored officiating to the HOME TEAM but not always. Abi which referee wants to be stoned if the HOME TEAM loses? So 80% of games end in a Home win. Use this to your advantage . 2.Most teams travel on match day by road,the visiting team will be already tired on arrival even before kickoff.They will likely not score and play badly giving the home team advantage.So home win is likely. A good example is Akwa United vs El Kanemi Warriors...the visiting team will probably travel overnight to Akwa and for sure play badly. So for look teams playing each other from a great distance eg Northern team vs Southern team. 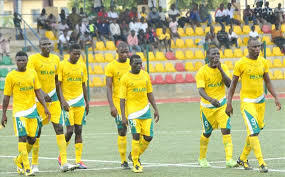 3.We don't really have very potent goal scorers in our league so most matches end up 1-0,1-1 etc. The under 2.5 goals at FT is a very good stake. 4.Lookout for games involving top 4 teams against bottom 4 teams ,the home team win likely win. Great blog great information. It's actually most entertaining live soccer betting site each game is very interesting especially verified bets and it's extremely fascinated with different soccer sites. Have a look again on online soccer betting and get the experience you too and take the pleasure of with Correct Score Soccer Predictions today. UCWTODAY is the best online casino Malaysia, Sports and Slot games in Malaysia. Largest gambling company with more than 100000 members and biggest Progressive Jackpots. Specially soccer gambling! !